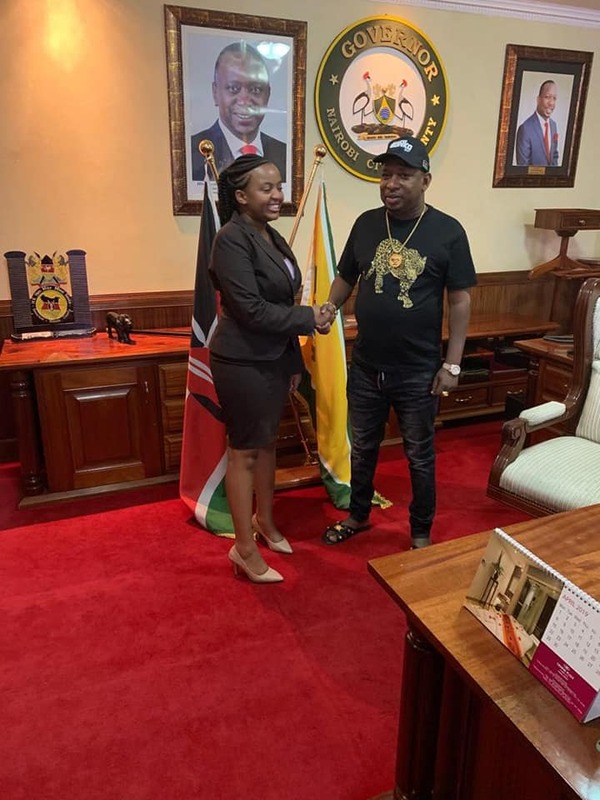 Nairobi Governor Mike Sonko has joined in the celebration of the first ever female elected to head the powerful students association of the University of Nairobi. 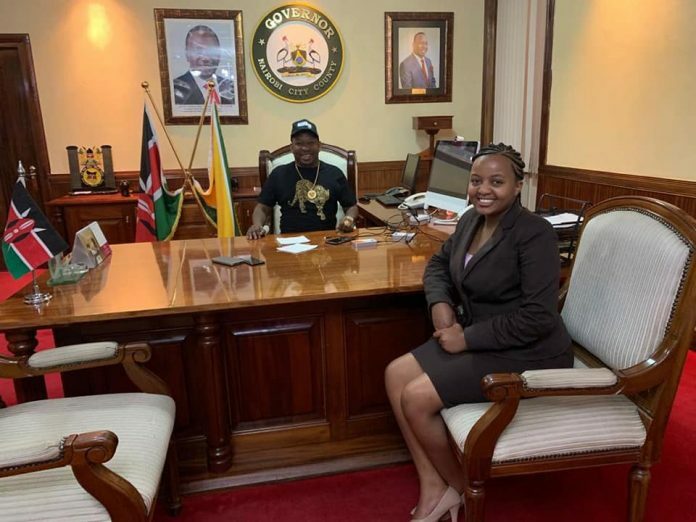 Ann Mwangi Mvurya was on Sunday unveiled as the new Chairperson of the University of Nairobi Students Association (formerly SONU). 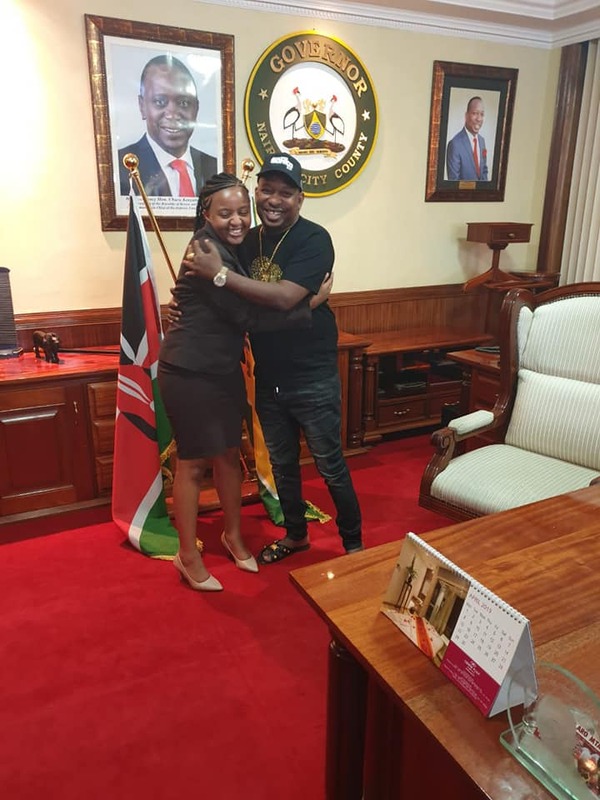 Sonko later that day invited the third-year law student to his office and congratulated her for the amazing fete. 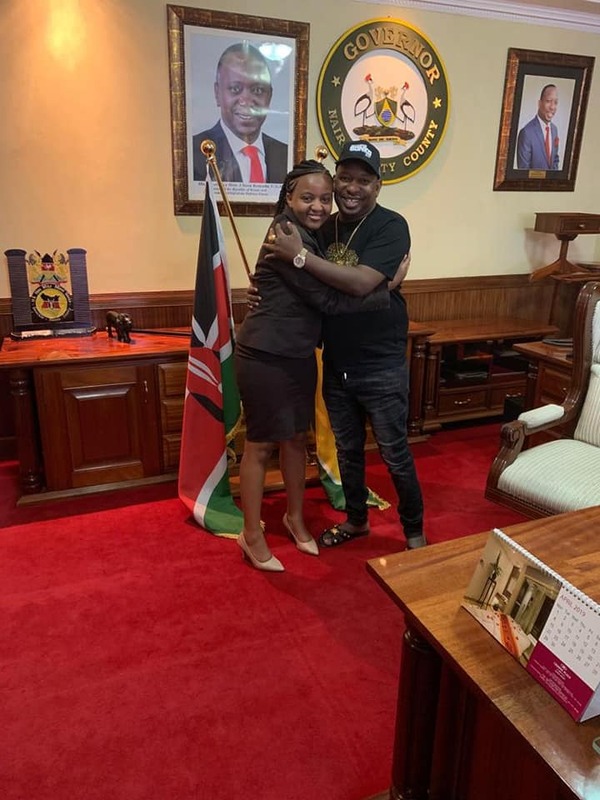 Sonko hinted that Ann had become part of his Nairobi Beautification Project because of her stunning beauty and her appealing appearance. Nairobi beautification goes on. My compliments to my sister and friend ANN MWANGI MVURIA for being elected as the chairperson of UNIVERSITY OF NAIROBI STUDENTS ASSOCIATION (UNSA). ANN becomes the first female student with beauty and brains in the history of students leadership in Kenya to be elected in this position. Congrats to TEAM TWAWEZA.